Every winter, Project GREEN hosts a series of three educational presentations about gardening and environmental topics. These are held at the Iowa City Public Library, and are free and open to the public. 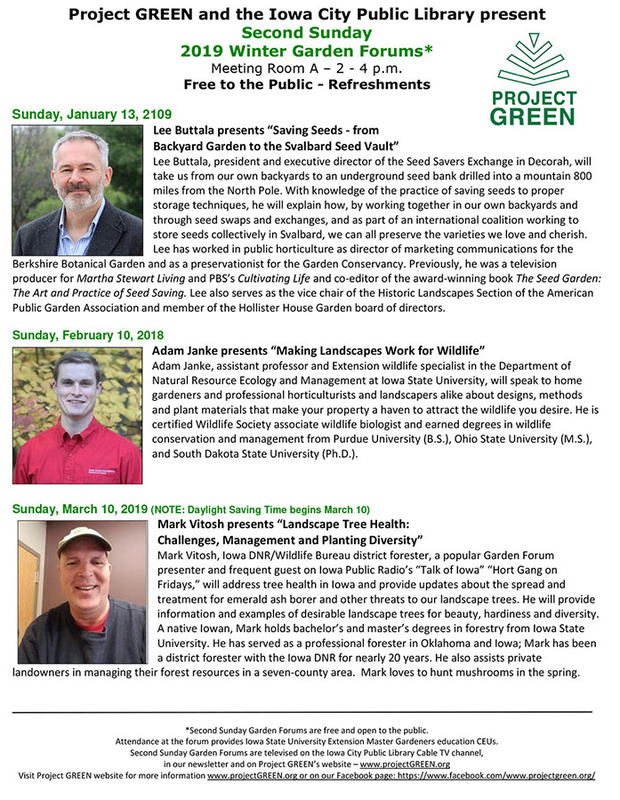 Check back next winter for the 2020 Garden Forum series!